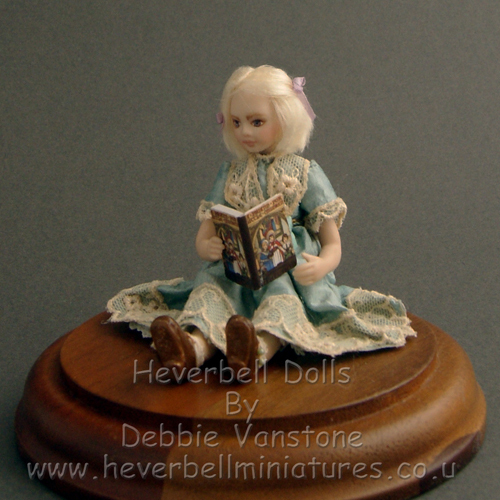 Sweet little girl Johanna sat reading her book, in a silk dress handmade from turquoise silk. The dress is embellished with a beautiful delicate lace and a large silk ribbon around her waist. 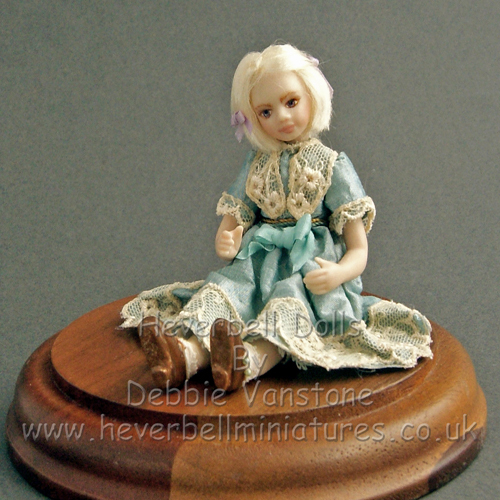 Johanna’s hair is made from viscose and styled in a neat bob with tiny silk ribbons added. The shoes and socks are also handmade. Under garments are worn. If Johanna were standing she would be approx. 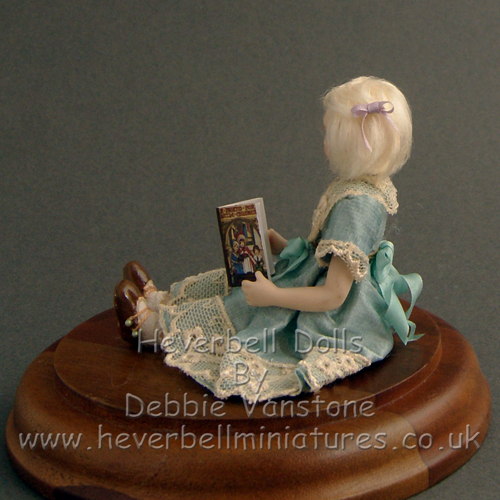 4” she is made from porcelain. 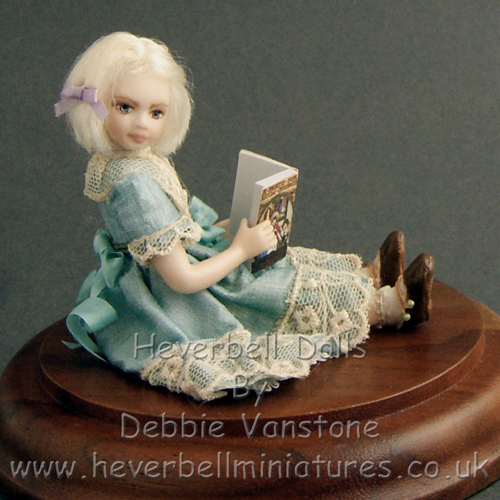 Please note this listing is for the doll and the book shown, the wooden base is NOT included.